C-1, Sector 3, Noida - 201301, U.P. Wave Infratech Pvt Ltd is one of the leading players in the real estate industry and is on its way to becoming one of the top builders in the country. Their vision is to pioneer spirit, innovation, energy, passion for excellence, commitment, integrity and adaptability in all their projects. 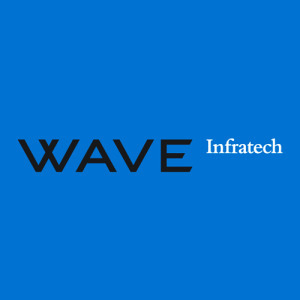 With some of the most well known landmark commercial and residential projects in Delhi-NCR, Wave Infratech is a household name.Some of their most notable commercial projects include Wave City Center, Wave One, Wave 1st Silver Tower, Wave Vertica and Centerstage Mall (Noida’s first mall). These projects house the offices of some of the biggest brands in the country. Some of their most notable residential projects, on the other hand, include Wave City and Wave Estate. These are well known and well designed townships. Under the leadership of Manpreet Singh Chadha, the Vice President of Wave Infratech, the company has made great strides in the real estate industry. Apart from revolutionizing realty, Wave Infratech has also been extremely active when it comes to corporate social responsibility. The Mata Bhagwanti Chadha Niketan (MBCN) was founded by them in order to help children with disabilities by providing rehab facilities, vocational training and education. The Wave Care Foundation is an organization that works for the upliftment of underprivileged children.